Milwaukee, WI – Foxconn Technology Group (Foxconn) and its general contractor, M+W | Gilbane (Gilbane), announced today the selection of eight prime subcontractors, all with strong presence in Wisconsin, for the development of the first building – a 120,000 square foot multipurpose building – at the Wisconn Valley Science and Technology Park in Racine, Wisconsin. The contracts awarded for the construction of the multipurpose building have a total value of $14 million. 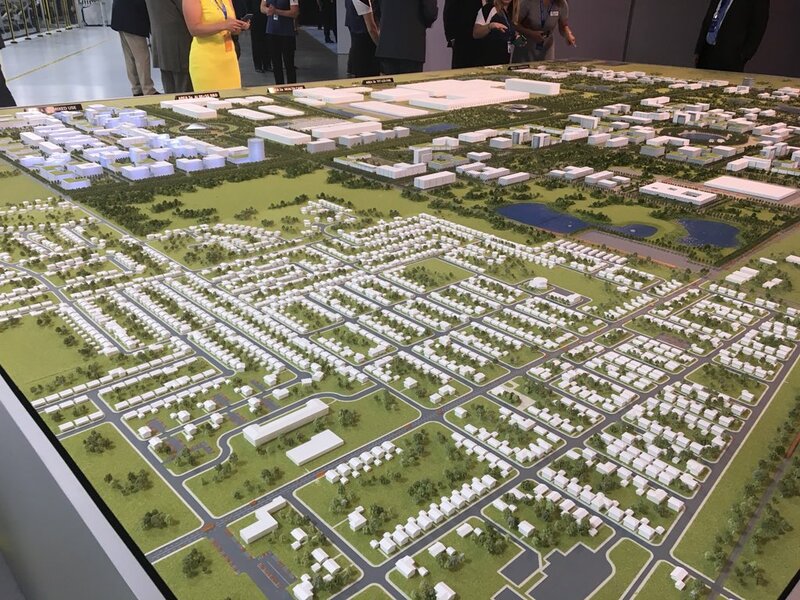 Foxconn will be announcing additional contracts for the development and construction of other facilities that are part of the first phase of the Wisconn Valley Science and Technology Park in the coming months. Foundation work for the multipurpose building will begin in August 2018, and the construction of this building is expected to be completed in Winter 2018/2019. The multipurpose building will serve as office space for construction companies involved in the building of the Wisconn Valley Science and Technology Park. It will also house research and development facilities focusing on advanced display technology and applications in all aspects of smart lives. In addition to the interim experimental and training facility that Foxconn has leased in Mount Pleasant, Foxconn will also be carrying out activities such as testing of equipment and advanced manufacturing techniques, and beta testing of assembly and manufacturing systems that will be used in the company’s Wisconsin operations, at the multipurpose building. 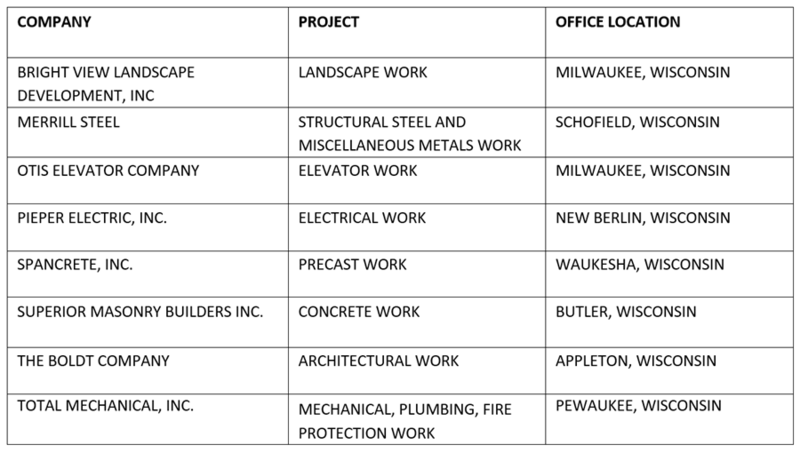 The list of companies that were awarded contracts today is below.